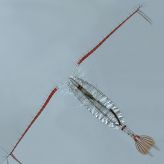 A significant study involving the University of Newcastle (UON) has revealed certain species of plankton have moved substantially and depleted in number over the past six decades due to rising sea temperatures, causing serious concern for the marine ecosystem. UON’s Dr William Chivers and his team used publicly available data to track the movement of 35 plankton species in the north Atlantic and North Sea, finding the first large-scale evidence that different plankton groups have varying responses to thermal change. “The groups which form the food of fish larvae, the dinoflagellates and copepods, are the most adversely affected, moving north as the sea warmed. During the period of 1984-2008, the average range change for this group was 99 kilometres per decade, while the average for less affected species was only seven kilometres per decade” Dr Chivers said. “These differences are resulting in major changes to the ocean ecosystem and are likely to have severe implications for fisheries as well as biodiversity. Plankton are also responsible for nearly 50 percent of the world's photosynthesis which maintains the atmospheric oxygen level and removes carbon dioxide, so their response to climate change is critical,” he added. Dr Chivers employed a novel approach to analyse the data by examining the proportion of each species in relation to isotherms - lines on a map that join areas with the same temperature. “Isotherms move poleward (north in the northern hemisphere) during periods of warming and away from the poles in periods of cooling. In our analysis we tracked the proportion of each species north of ocean isotherms to find evidence or otherwise of the species' range movements in response to temperature change,” he explained. “Those species best able to cope with warming sea surface temperatures had falling proportions north of each isotherm in periods of warming and vice-versa. All these different range movements mean the old ecosystems will be replaced by new ones,” he added. The study used data dating back to 1954 and was a collaboration between UON, Professor Graeme Hays from Deakin University and Dr Anthony Walne from the Sir Alister Hardy Foundation for Ocean Science (SAHFOS) in Plymouth, UK. Based at UON’s Central Coast campus within the School of Electrical Engineering and Computing, Dr Chivers was able to combine his background in computer science and biology to carry out the study, which has challenged previous assumptions about the sensitivity of plankton to thermal change. The full findings are detailed in Mismatch between marine plankton range movements and the velocity of climate change, published in the online journal Nature Communications.